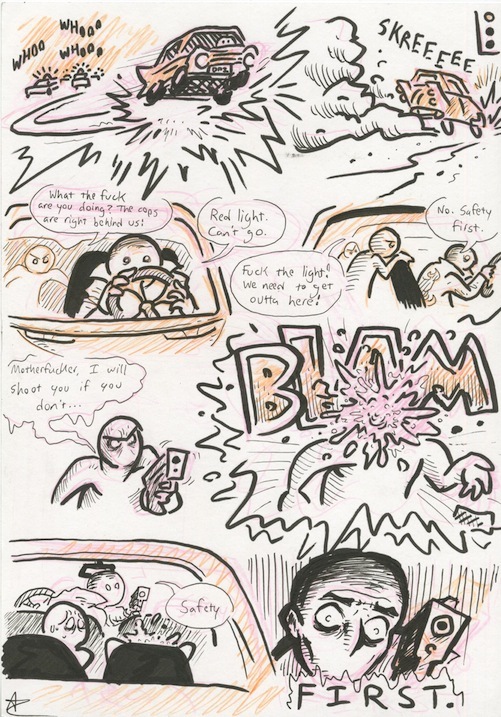 A really quick comic I drew for a guy at SPX 2012. He never collected it. His request was for Ryan Gosling’s character from “Drive” doing something “heroic”.